The Coptic museum features impressive collections of ancient ankhs and Horus-like falcons, stone carvings and a lot more that belong to the era on the mamluks. 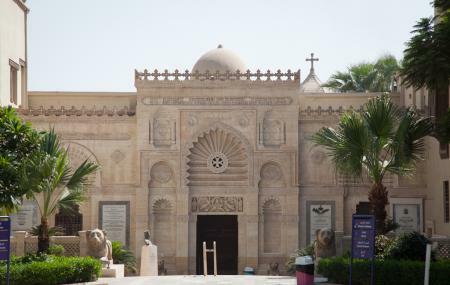 It is also home to a wide collection of Coptic art that belongs to the Christian era. The museum lays emphasis on the development and influence of Coptic art. The presentation is pretty impressive and the exhibits are quite interesting. The Coptic museum is a huge dig through history and is recommended especially to history and art lovers. Photography is not permitted in the museum premises. How popular is The Coptic Museum? People normally club together Gayer Anderson Museum and Mosque Of Amr Ibn El Aas while planning their visit to The Coptic Museum. Very well maintained and organized museum. Depicts a very important part of the history of Cairo and the Christianity itself. It's worth visiting. I went there as part of my study excursion and I was not very impressed by the museum. The lighting is bad and display is boring. The labels are old and dusty and the bigger information panels are repetitive. They can definitely improve the display of objects and the lighting. But I give full points to the building. Its a nice building with beautiful wooden ceilings (don't forget to look up). And the collection is very unique.